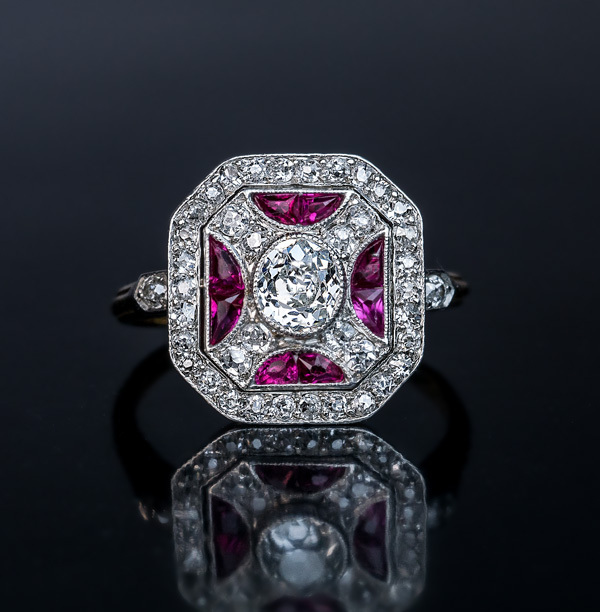 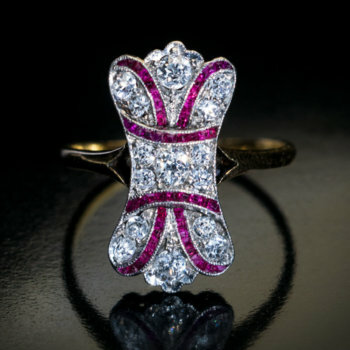 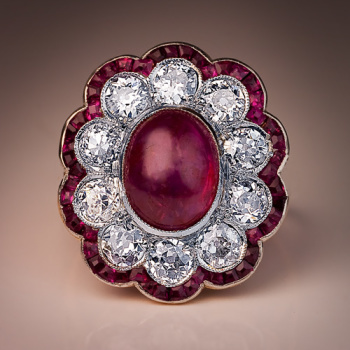 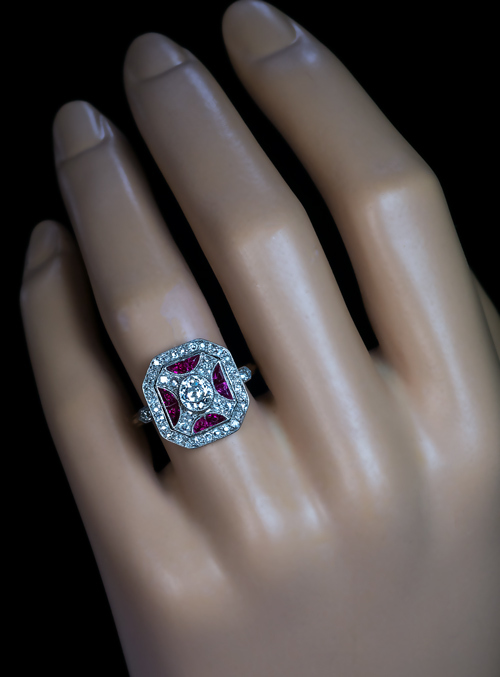 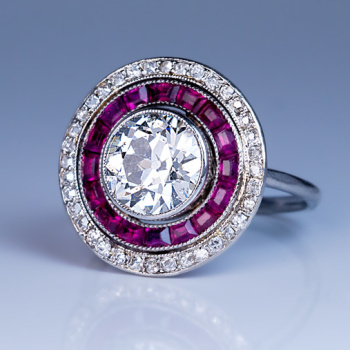 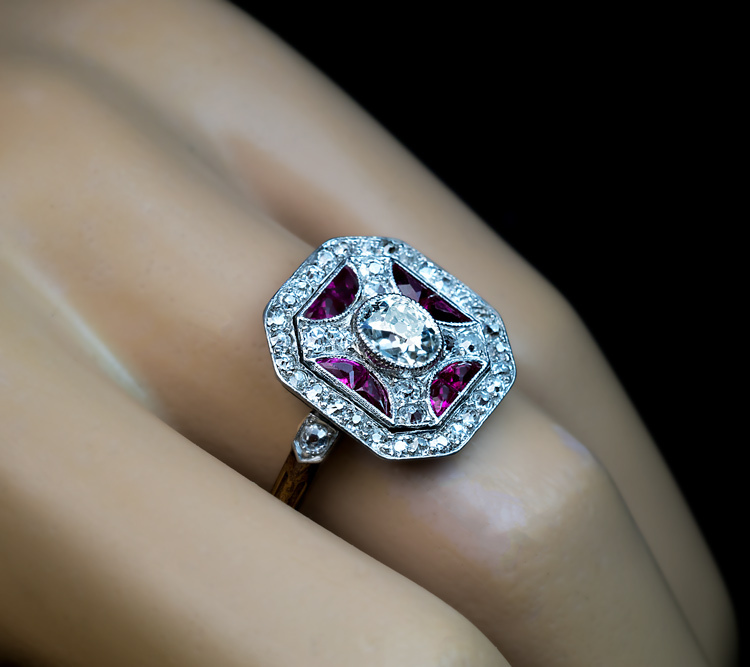 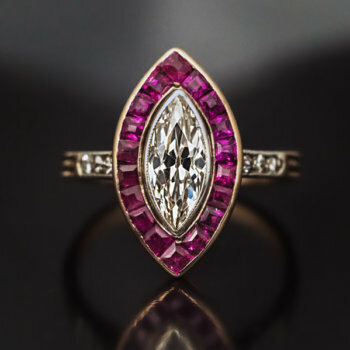 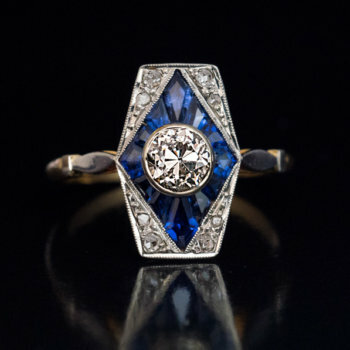 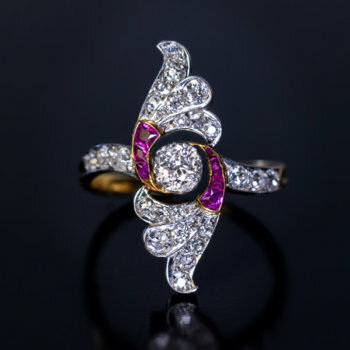 This vintage Russian ring is handcrafted in platinum over 18K gold and centered with an oval old cut diamond (5 x 4.5 x 2.9 mm, approximately 0.50 ct, H color, SI1 clarity) in milgrain platinum setting, framed by calibre cut synthetic rubies and old single cut diamonds. 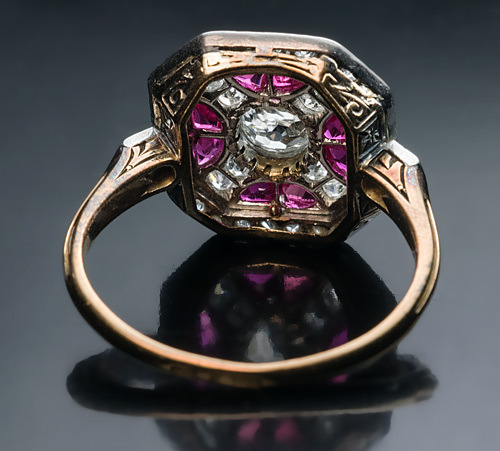 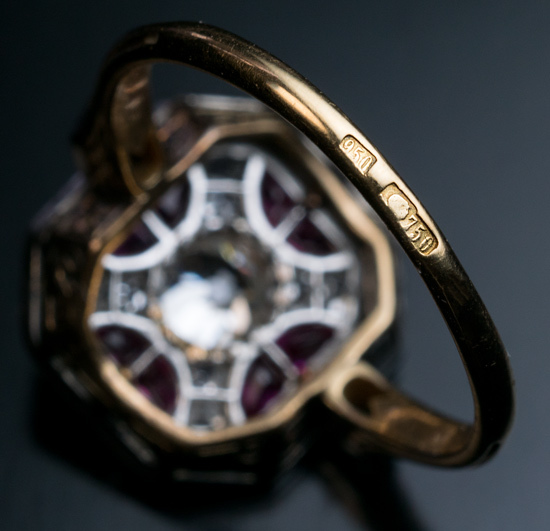 The ring is marked with early Soviet hallmarks for 950 platinum and 750 gold from the 1930s. 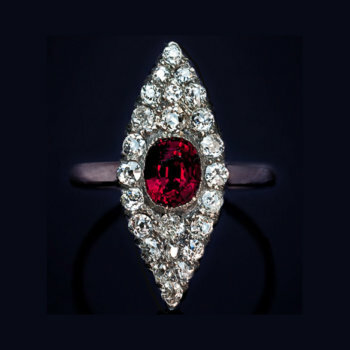 The diamond and ruby top measures 15 x 13.5 mm.